Cuba is the largest of the Caribbean islands, home to unspoiled coral reefs and a variety of colorful marine life. The two most popular spots for diving are the Jardines de la Reina and the Canarreos Archipelago. 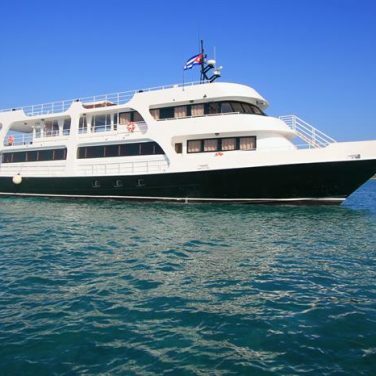 Both areas are protected marine environments best accessed with a Cuba liveaboard. Because the number of visitors to this underwater mecca is capped each year, many of the marine animals have not learned to fear humans and are quite friendly. Divers can swim along with sharks and groupers, or snorkel with crocodiles in their spare time. The underwater scenery is also quite stunning, with healthy coral, underwater caves and impressive drop-offs. Diving in Cuba offers plenty of sites for all abilities, even beginners. Liveaboard trips are generally about a week long, allowing plenty of time to discover this underwater paradise. If you’re looking for luxury while cruising in Cuba, the Avalon II is your best fit. Creature comforts like a hot tub, full bar, and chef-prepared cuisine make it easy to pamper yourself between tanks. 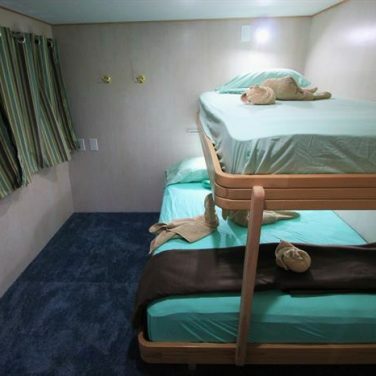 And, this liveaboard has some of the comfiest cabins around. But don’t worry, this boat takes diving seriously, too. 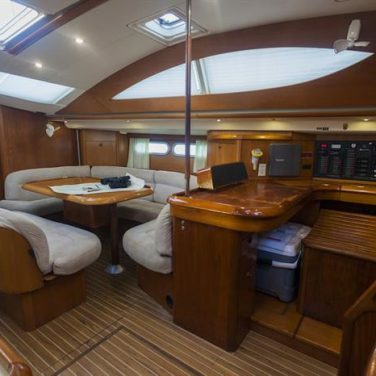 Spacious equipment storage, a massive dive deck, Nitrox, and modern camera facilities will keep even the pickiest clients satisfied. And, you’ll get up to 4 dives a day in the region’s best sites plus multiple chances to snorkel with crocodiles. 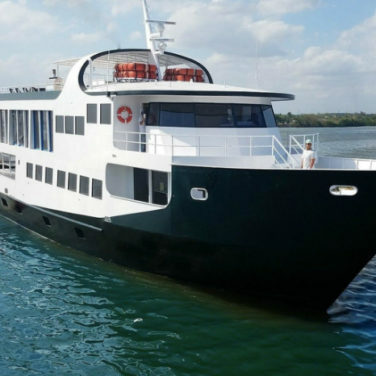 This permanently moored vessel is more of a floating hotel than a liveaboard. 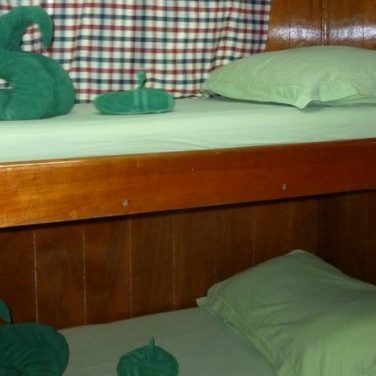 If you’re visiting during storm season, or are prone to seasickness, rest assured. This stable, motion-free “boat” won’t rock a bit. 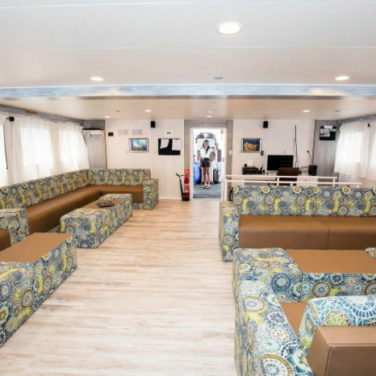 Spacious common areas, free internet, a well-stocked bar, and snorkeling from the back deck make this Cuba’s best option for groups with non-divers. And, this is by far the region’s highest-rated choice. Sure, you’ll be stationed a bit further from the dive sites. But, the daily speedboat rides through the mangroves are tons of fun. These high-speed adventures are a perfect opportunity for bird and wildlife watching, too. Every boat in Cuba visits the Jardines de la Reina, except this one. If you’re looking to do something a little different, consider this alternative trip around Cayo Largo. 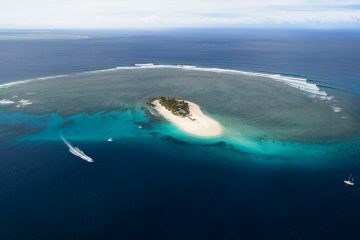 The Vision III visits reefs that no other liveaboards currently explore, spending days at sea without another dive group in sight. And, thanks to her small size, it’s easy to get close to the action without a dinghy. 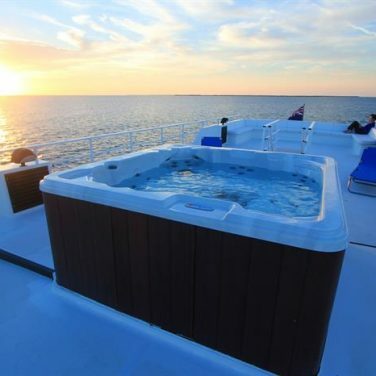 With just 8 guests and 2 crew onboard, this is an intimate expedition, perfect for social divers. Shared cabins and family-style meals help keep costs low, making this a top pick for guests on a budget. If you’re an underwater photographer planning a trip to Cuba, this is the best boat for you. Equipment care is easy onboard, thanks to a three-tier camera table with blow dry, dedicated rinse bins, and an indoor photography room. Plus, you’ll have access to a desktop computer for editing. And, Nitrox is available to help you get a few extra minutes of bottom time on each dive. The Jardines Aggressor II offers plenty of perks, too. Luxury cabins, fine dining, a full bar, and an on-deck hot tub make it easy to unwind during surface intervals. 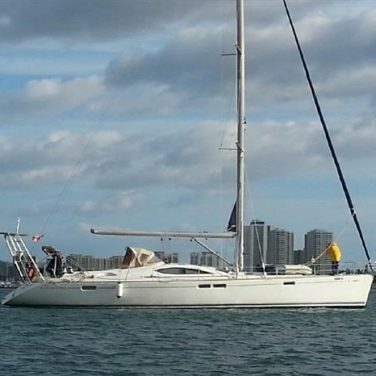 Jardines de la Reina is not a budget destination, but this boat is the region’s most affordable option. And, if you don’t mind forgoing a few creature comforts, La Reina’s relaxed and social atmosphere is your best bet. 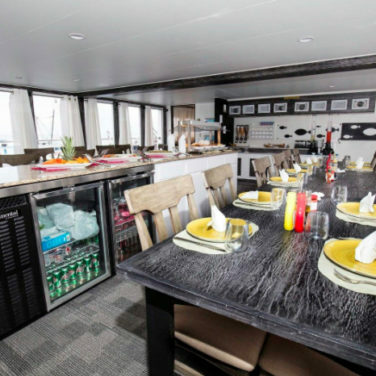 Catering to a maximum of 8 guests, this liveaboard offers plenty of personalized customer service both above and below water. 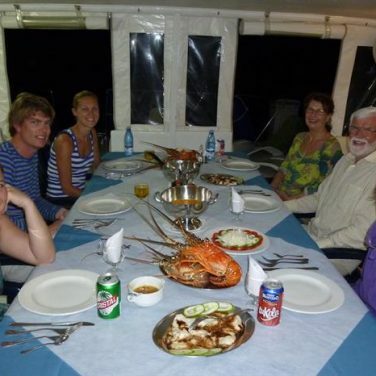 And, guests rave about her friendly crew, excellent food, and family-style ambiance. So, don’t let the price tag turn you off. You’ll visit all the same incredible sites as higher-end boats, including a chance to swim with the crocs. Beginner. Cuba is a dream destination with dive sites suited to every level of experience. This region’s calm and shallow coral gardens are perfect for beginners and first-time liveaboard divers. But, those with more experience won’t find themselves bored here. Thrill seekers can get a rush exploring the region’s caves, caverns, and plummeting walls. 6 to 8 days. 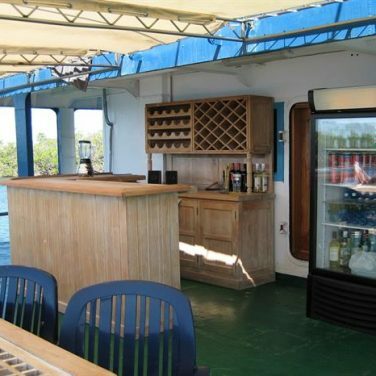 Liveaboards in Cuba visit two individual areas, Jardines de la Reina and Cayo Largo. Thanks to the region’s small size, a week is plenty of time to explore no matter which you choose. But, keep in mind that you’ll need a day to travel between Havana and your port of departure. Cuba is an emerging dive destination, and tourist infrastructure remains a challenge. Cuba is a year-round dive destination. 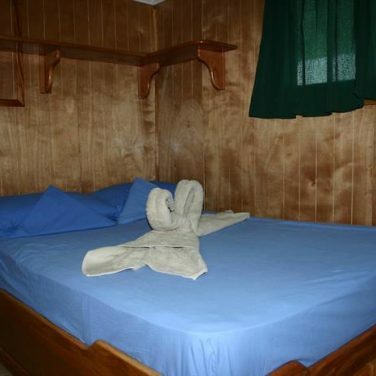 But, many guests prefer to visit during the summer. These months promise warm water, calm conditions, and plenty of sharks. The Caribbean is prone to powerful tropical storms that often impact travel and liveaboard itineraries. So, if you’re planning to visit between September and November, you should keep a close watch on the local weather. No matter when you visit Cuba, you can expect warm tropical weather. So, pack clothing appropriate for heat and humidity. Water temperatures fluctuate between 77 and 86° F (25 and 30° C) with the coldest months between January and March. Most divers are warm enough with just a shortie. But, consider packing a full suit if you tend to get cold underwater. Cuba’s visibility is excellent all year round, ranging from 49 to 98 feet (15 to 30 meters). Spring months have the clearest water thanks to a reduction in blooming plankton. But, this is also the coldest time of the year for diving in the region. If you’re visiting during tropical storm season, you might experience reduced clarity due to wind, rain, and surge. South of Cuba’s Caribbean coast, lies an underwater wonderland of vertical walls, sharks, and thriving coral reefs. Jardines de la Reina is one of the region’s largest protected marine parks, and undoubtedly the most famous. Clear conditions and calm water make this an excellent destination for divers of all skill levels. And, thanks to years of conservation, these waters are a magnet for large pelagics. As if that’s not reason enough to visit, this diving area offers one more thrilling attraction. 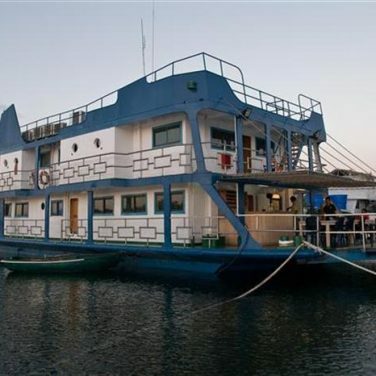 This is the only liveaboard destination where visitors here can snorkel with and photograph American crocodiles. Visitors to Cuba might be surprised by the wide variety of aquatic environments in the region. Most Caribbean dive destinations are feature a landscape of coral reef and sandy channels. But, this biodiverse area has much more to offer. Depending on your itinerary, you’ll likely explore mangrove swamps, sand flats, and endless swaths of turtle grass in addition to reefs and walls. And, advanced divers can take on the region’s caves, caverns, and swim-throughs. Large-scale tourism is still a new concept in Cuba. And, some visitors might find the lack of infrastructure frustrating. Don’t expect reliable internet or specialized services for tourists while visiting here. And, be sure to pack for self-sufficiency. While Cuba’s markets have opened to the outside world in recent years, the country still carries few foreign products. Items like batteries and sunscreen will be expensive, or potentially impossible to find. In contrast to more popular Caribbean destinations, Cuba’s reefs remain relatively unexplored. 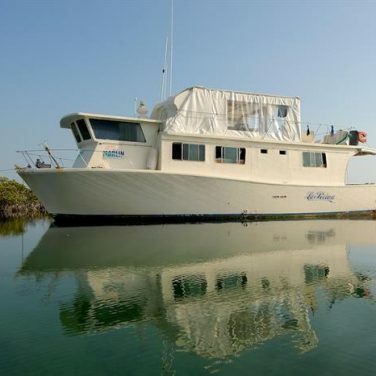 Remote areas like Jardines de la Reina and Cayo Largo are only accessible via liveaboard. And, only a handful of boats operate in the region. Visitors here can expect pristine dive sites, far removed from the cruise ships and tourist hordes that crowd other nearby diving areas. The reefs of Jardines de la Reina are world-renowned for up-close encounters with sharks. These waters were designated as a protected marine preserve in 2002, and the conservation effort has paid off. Since then, Cuba’s sharks have made a major comeback. Today, lucky dive groups can encounter a variety of species like reef, nurse, and silky sharks, all in one dive. One of the most thrilling parts of a liveaboard dive trip here is the chance to snorkel alongside crocodiles. This is the region’s most photographed attraction and a once-in-a-lifetime adrenaline pumping experience. Excursions take place in the mangroves where the crocs spend their afternoons sunning. And, the best-known individuals happily join dive groups when called by name. Cuba isn’t famous for hammerhead sightings. But, it’s one of the best places in the Caribbean to spot these graceful apex predators. The deep walls at sites like Vicente and Pipín in Jardines de la Reina, and the remote island Cayo Sigua, have a strong reputation for encounters. 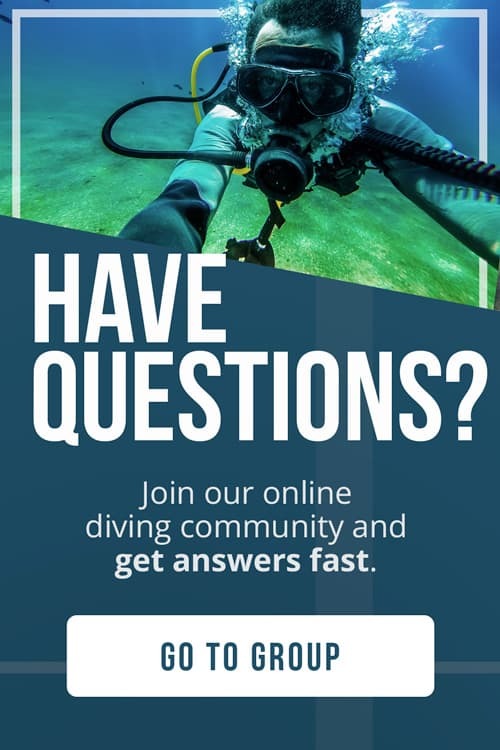 So, be sure to keep an eye out in the blue, especially during early morning dives. Cuba’s southern islands are home to some of the most unspoiled dive sites in the Caribbean. And, while getting there might take a little bit of extra effort, we promise you’ll find the journey well worth it. Most trips offer between 6 and 8 days at sea, exploring the region’s best reefs and walls. This translates to around 20 dives, plus a few snorkeling sessions and shore excursions. 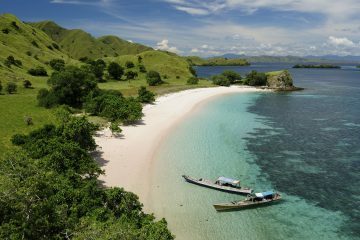 A variety of itineraries exist in this remarkable diving area. So, verify the proposed route with your liveaboard operator in advance if you are hoping to explore specific sites. Divers in the know hail Jardines de la Reina as the last truly wild place in the Caribbean. But, the secret is out. More and more guests visit this region each year hoping to come face to face with the region’s famous sharks and crocs. The sites in this area are steep walls with shallow coral gardens on the top side, so it’s entirely up to you how deep you go. 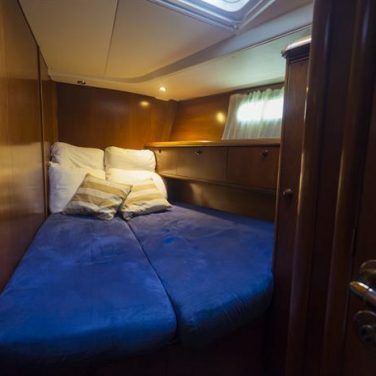 The area is perfectly suitable for divers of all skill levels, so you could plan a trip to this underwater paradise as your first liveaboard or your hundredth! If you’re considering a visit, the time to go is now. Jardines won’t stay off the tourist radar for much longer. If you’ve already dived in the more popular Jardines region, or you simply prefer to try something different, consider an itinerary around Cayo Largo. These diving areas see even fewer guests than their more popular counterpart. And, they offer a completely different underwater experience. You won’t see quite as many sharks here. And, you won’t be swimming with any crocodiles. Instead, you’ll be exploring some of the most remote reefs, walls, caverns, and caves in Cuba. And, you won’t see another dive boat for days at a time. 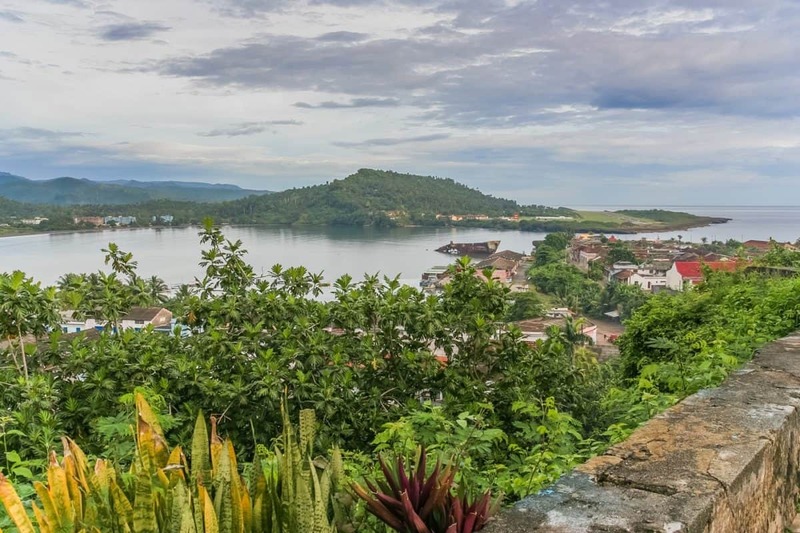 Itineraries bound for this region depart from Cienfuegos, which is much closer to Havana than Jucaro. So, these trips are better for divers on a time crunch, too. This is one of the best-known sites in Cuba and a hotspot for pelagics. Beginning at 50 ft (15m) and dropping to 100 ft (30m), this mountain shaped coral structure will take an entire dive to explore. Most groups begin at depth, slowly circling as they move closer to the surface. And, while there is plenty to see in this impressive coral garden, the real action takes place out in the blue. Lucky divers will encounter large schools of jacks and tarpon, turtles, rays, and sharks. Advanced divers can explore a series of tunnels cutting all the way through this site. The most popular part of this massive diving area has a shallow, gently sloping wall, perfect for beginners. After that, comes a vertical drop into the abyss. Early morning immersions are best for hammerhead sightings. But, you might get lucky and spot silkies, reef sharks, wahoo, jacks, and rays at this dropoff, too. With all the big fish action out in open water, it’s easy to forget about the reef itself. But, don’t overlook it entirely. Nurse sharks and giant groupers often rest on ledges and beneath overhangs at this site. Photographers should plan for a wide-angle and video if possible. This area is home to 2 excellent wrecks, often visited in the same dive. The first is an ancient Spanish galleon, reclaimed by the sea. A colorful coating of soft coral and sponges makes this site a favorite for photographers. Nearby, you’ll find a large fishing boat. 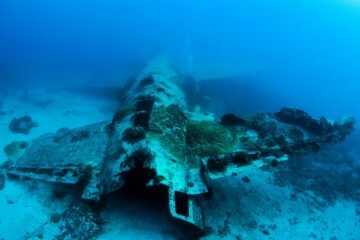 Though it remains mostly intact and was sunk much more recently, this wreck is not suitable for penetration. This ship’s exterior is home to large populations of lionfish, scorpionfish, and fireworms, so use caution. Coral formations full of lobsters and crabs, sleeping turtles, and lurking groupers make this an excellent place for a night dive. If you’re diving here hoping to see sharks, Pipín won’t disappoint. The top of this vibrant reef is a series of canyons and caves leading to the dropoff. Advanced divers may want to spend some time exploring these overhead environments. And, the light-filled passageways are a favorite for photographers. At the reef’s edge, lone hammerheads and schooling silkies scour the wall looking for an easy meal. Eagle rays and sea turtles join the pelagic action, often cruising by in the blue. And, reef and nurse sharks sleep in the shallows, cleverly hidden under rocks and coral heads. These twin dive sites are famous for up-close encounters with Caribbean reef sharks. So, most boats spend at least an entire day here. This gives divers plenty of time to explore the reeftop channels, coral formations, and steep dropoff. Besides the sharks, this site is a great place to spot massive southern stingrays, sea turtles, and goliath groupers. If you’ve had enough of Cuba’s pelagics, you can search the coral gardens for smaller species. Macro lovers will find a variety of minuscule crabs and shrimp, plus the occasional nudibranch. And, the sandy bottom is home to massive colonies of garden eels. This diving area is a hotspot for big fish, and calm conditions make it perfect for beginners. Though you’ll undoubtedly see a few sharks, the real attraction here is hundreds of schooling snapper, hence the name. This is also an excellent place to spot massive Goliath groupers. These giants rest on the sandy bottom, allowing small reef fish to pick them clean of parasites. If you spend some time in the shallows, you’ll also come across sleeping nurse sharks and numerous stingrays buried in the sand. Foraging turtles, tarpon, and barracuda are often seen here, too. West of Cayo Largo, this island’s dive sites feature a labyrinth of tunnels, caves, and swim-throughs. This world below the reef is home to nurse sharks, groupers, and schooling glass fish by the millions. And, the passageways are a favorite for photographers, thanks to their dramatic lighting. Above ground, you’ll find massive coral formations, swarmed by colorful reef fish. 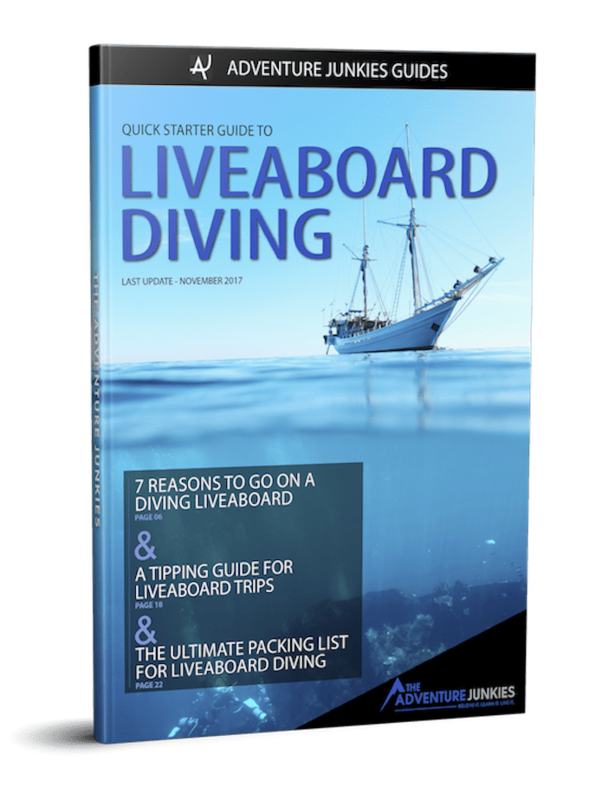 Advanced divers can take their experience to the next level at the dropoff. The sloping wall suddenly turns into a vertical drop, beckoning plenty of large pelagics up from the deep. The shallow coral gardens around Cayo Largo are excellent for beginners. And, they are highly popular among underwater photographers. These reefs are some of the region’s most colorful, and home to a stunning variety of marine wildlife. El Ballenato is one of the island’s most famous dive sites and typically dived twice in a row, by day and night. Lucky divers will spot reef and nurse sharks, turtles, and giant Goliath groupers. Macro enthusiasts can scour the sand and coral here for a variety of crabs, shrimp, seahorses, and slugs. If you’re looking to go deep, the walls around Cayo Sigua are sure to impress. This remote island is one of the best diving areas on Cuba’s Caribbean coast. And, it’s encircled by a dizzying vertical dropoff. You’re more likely to spot pelagic sharks here than elsewhere around Cayo Largo. And, these walls are frequented by turtles, rays, and tarpon, too. If you’d rather explore the reeftop, don’t worry. The coral here is in excellent condition, and you’ll see plenty of schooling reef fish. Advanced divers can visit a secret cave where fresh and salt water meet, creating a hypnotic visual effect.